Topamax® (topiramate) is one of the more versatile AEDs. It is widely used for migraines, partial onset seizures, generalized seizures, and even weight loss. Topamax has potentially five mechanisms of action. They include the blockage of sodium channels (similar to many of the traditional epileptics), enhancement of GABA-a receptors (an inhibitory neurotransmitter), inhibitory effect on glutamate receptors, inhibition of L-type high-voltage calcium ion channels, and a diamox type effect. The relative importance of these mechanisms in the functioning of Topamax® is not clearly known but it does not appear that any other single AED shares these five properties. As an AED, Topamax has been shown to be highly effective. Like all other AEDs studied in head to head trials, there is no AED which is more effective than any other AED when used as initial therapy for the correct seizure type. Guidelines published by the American Academy of Neurology recommend this medication be considered in monotherapy for patients with new onset partial epilepsy or generalized tonic clonic seizures.. It is also recommended in pediatrics as well. Topamax® is available in tablets of various sizes as well as a sprinkle form which can be used in those who cannot swallow tablets. It is typically dosed twice daily. Topamax lacks many of the more serious side effects seen with the older AEDs. It lacks known problems with bone marrow and has an extremely small incidence of liver abnormalities apparently confined to patients with prior liver abnormalities. It does have a fairly common side effect of kidney stones (between 1-2%). It is also one of only three AEDs that have a statistically proven propensity to lose weight (Zonegran and Felbamate are the others). Other side effects include a change in taste, particularly with carbonated drinks, tingling in the extremities, and at times interference with mental function. The last side effect is highly dependent upon the rate of dose administration and is relatively uncommon among patients started at a low dose and advanced slowly. Dosing rates must be individualized based upon the patient and the other medications they are currently prescribed. Topamax’s advantage over the older AEDs is the lack of some of their more serious side effects. The selection of the best AED must be made on an individual basis and takes into account medical facts (seizure type, comorbid disease, medications currently taken) and individual patient issues (cost of medication, risk of side effects, expected length of time to require AEDs, route of administration, rate needed to obtain AED benefit). Dr. Loftus has participated in multiple double-blind placebo controlled studies with Topamax and has lot of experience in its use for indications other than epilepsy. 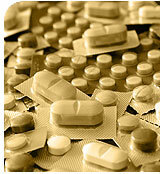 Among the most common uses of Topamax is the prevention of migraines. The medication works as well for prevention of migraines as other first class agents meaning it works well for 50% of the patients who take the medication. If one increases the dose slowly, the medication seems to be well tolerated. Dr. Loftus discontinues the medication about 10% of the time in his practice due to various reasons. For those patients that are not sulfa allergic, it is common to use Zonegran® or Zonisamide before topiramate as it has fewer side effects and similar weight loss. Some patients lose weight, as high as 15-20% of their body weight in his practice, and other patients do not lose any weight. The weight loss is generally painless for the patients and they tend to come to a new weight and stabilize there. Higher doses generally result in more weight loss. Migraine patients are generally taking from 100 - 200 mg/day in two divided doses. If you are using Topamax for migraine prevention or considering migraine prevention at all, then you need to be tracking your headaches. Dr. Loftus designed an iPhone or iPod touch app called iHeadache to do this. Less commonly than some of the other AEDs, Topamax is used for neuropathic pain relief. In some groups of patients, diabetics for example, the potential of weight loss is desirable and may therefore be a major reason for trying this medication for the treatment of diabetic neuropathic pain. There have been some positive and some negative results for treatment of diabetic neuropathic pain with Topamax. This is partially because it is a difficult indication to treat and partially because the side effect of tingling in the extremities is sometimes confused by patients with their neuropathy which also has a tingling quality in some patients. Topamax® has been shown in open label trials to be useful for essential type tremor. Topamax® has been shown in multiple small trials to be effective in cluster headache.